A Grief Recovery Project Post. Do you remember when my grief counselor told me that if I stopped going to our favorite places or doing the things we loved, it would actually make Dan disappear and not help me feel better? Well, Dan and I had been planning this Harry Potter bucket list trip to Europe for years. We never got farther than planning and dreaming, but we knew that SOMEDAY we were going to go. When Dan realized he wasn’t going to be able to make the trip, he made me promise to go anyway. That promise was one of the many gifts he gave me to help me get through my grief journey. It was a gorgeous morning at Stonehenge. So I booked the trip and headed out solo. I figured if I were having a bad day I wouldn’t have to mess up anyone else’s itinerary. If I were by myself I wouldn’t have to explain why I was crying or laughing as I thought about him and wished he was there with me. And I underestimated the amount of crying I would do: saying goodbye to my dog; in the airport bar; in the boarding area; on the plane…you get the idea. I lost track of how many times I broke down in tears, but crying myself to sleep alone on our dream vacation became the norm. It’s a good thing I got over crying in public a long time ago, because there was plenty of that too. Glastonbury Abbey in England, reported to be the burial place of King Arthur and Queen Guinevere. The beauty of getting lost is finding random art galleries down random alleys. But I wasn’t really solo. Dan was there with me, watching out for me and pulling strings. I’m sure he intervened when I was able to get tickets for the Harry Potter and the Cursed Child play, despite it being sold out for a year. And I give him full credit for the unseasonable picture perfect weather every single day that made Ireland look like the tropics! And he sent me little messages to remind me he was there and I was going to be okay. The Cliffs of Moher, Ireland. I’ll be back to hike the cliffs. 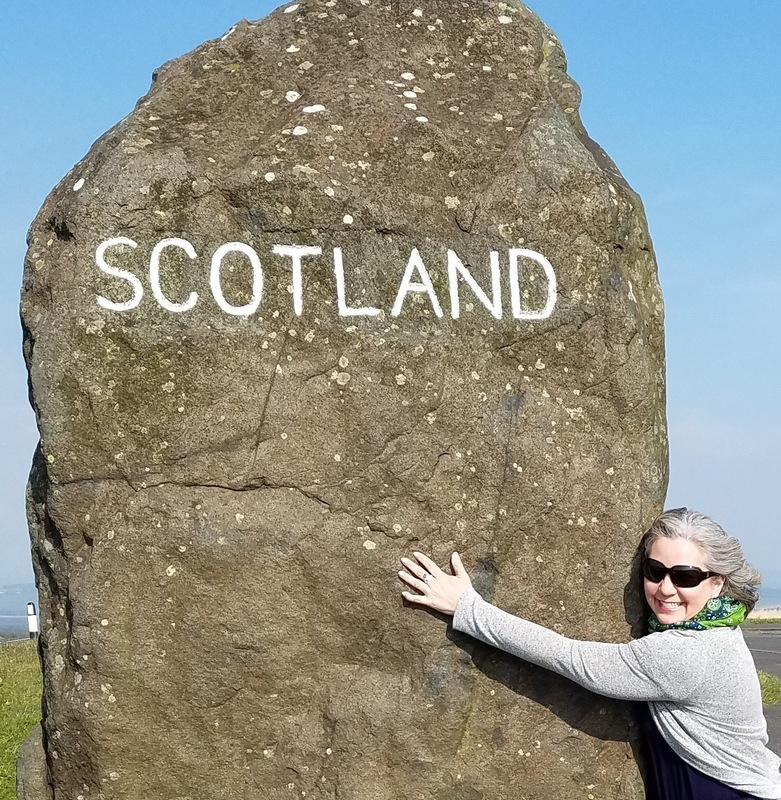 And I met amazing people, did amazing things, saw amazing things, drank (a lot) of amazing whisk(e)y, and the night before I was supposed to go to Scotland I had a full meltdown and started packing to come home. I’m not sure why that was the trigger, other than visiting Scotland was what we’d talked about the most. We both have Scottish ancestry, and there was just something about Scotland that called to us. I’d dreamt about Loch Lomond several months before making the trip. Dan came through with perfect weather the day we visited Loch Lomond. So there I was in my hotel room a blubbering mess trying to figure out what to do. My little sister convinced me to stay, and I’m so glad she did. Scotland was magic. Somehow just crossing the border changed everything. I let go. I felt like I’d come home. It was everything I’d expected…windy, rugged, and beautiful. I’d actually dreamed about Loch Lomond a few months before taking the trip. Imagine my surprise when I got there and recognized it as the place I’d been dreaming of. And as I was standing outside in the highlands, cold wind whipping my hair around, I was laughing like a crazy woman. At that moment, I remembered. I remembered what it felt like to feel joy-pure joy! And happy. And at peace. And with hope for the future. It was like those highland winds ripped off all the grief and survivor guilt baggage I’d been carrying around and I was suddenly weightless. Dramatic, I know, but I can’t think of any other way to describe it. I left my heart in the highlands. Clava Cairns, not far from Culloden Moor. No Outlander sightings that day, but you can go right up to the cairns and stone circle, unlike Stonehenge. And here’s the big shocker. Me. I met me without the weight of the world on my shoulders–the me that is going to not only survive but thrive in this new reality. I met the me that can cry and laugh at the same time and still enjoy life–the me that can look fear and loss in the eye and keep going. 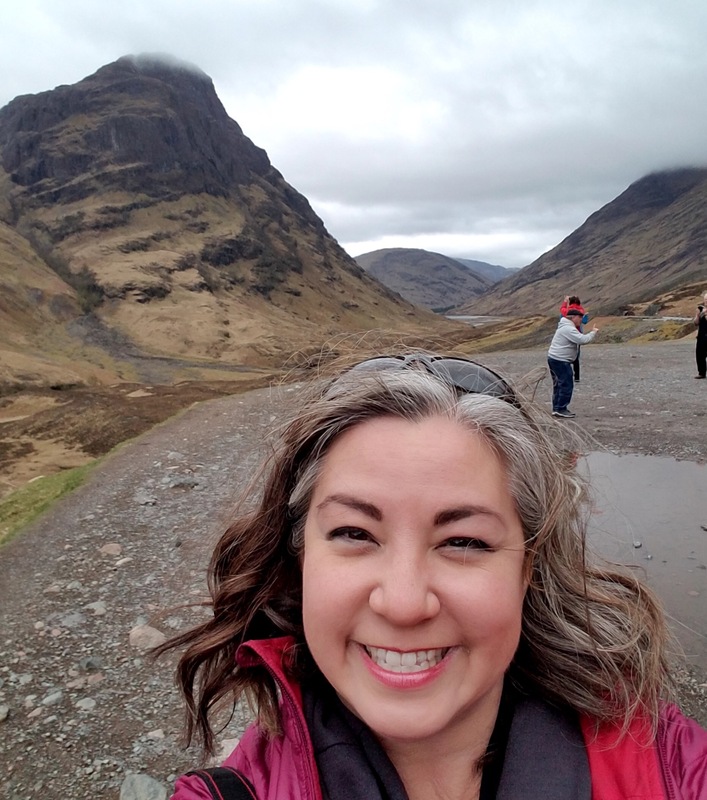 I met the me that was the wild crazy laughing woman in the highlands. And I think Dan somehow knew that would happen and that’s why he made me promise to go. Taking this trip was terrifying, but I’m so glad I did it. And I can’t wait to go back. The River Spey, one of Scotland’s greatest natural assets.